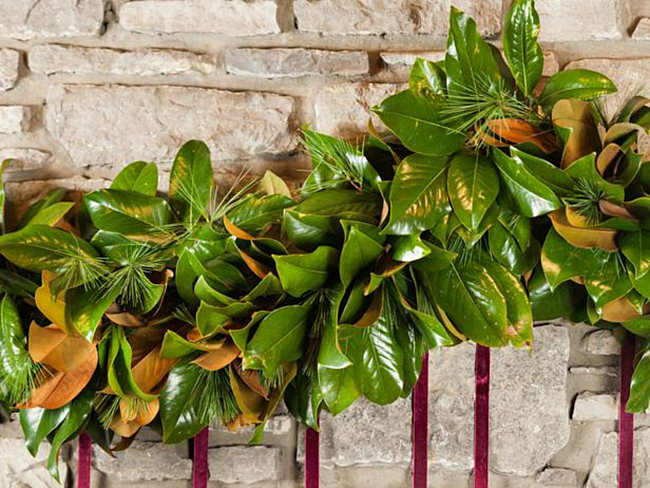 It’s garland season, folks, and regardless of your budget, it’s easy to add some festive trim to your home for the holidays. 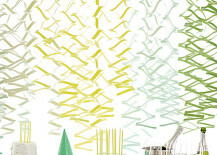 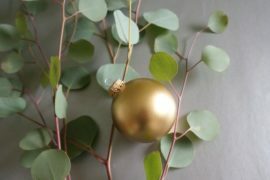 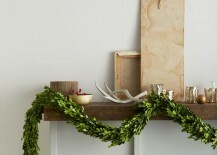 Whether you’re looking to impress with fresh greenery, or you simply want to use some leftover craft supplies to whip up a DIY garland in about an hour, you’ll find what you’re looking for in the projects that follow. 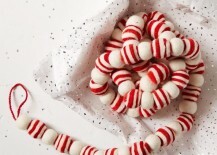 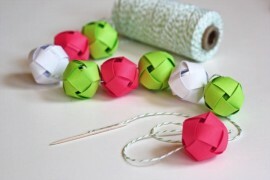 Check them out, and remember, there is no limit to your creativity when it comes to holiday crafts! 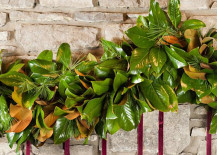 Looking for an easy solution using the greenery right outside your door? 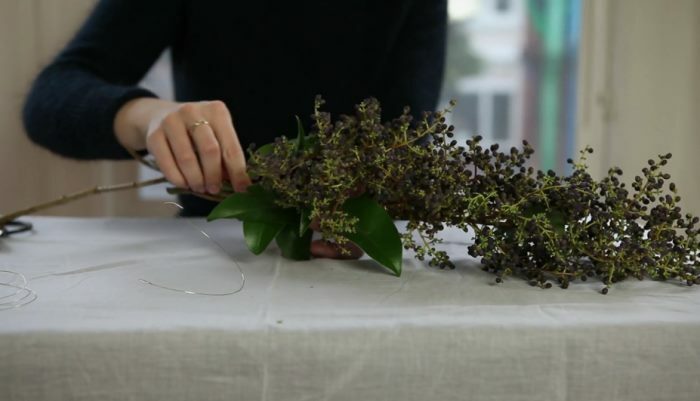 Check out Gardenista’s Easy Holiday Garden tutorial by Alexa Hotz, complete with a helpful instructional video! 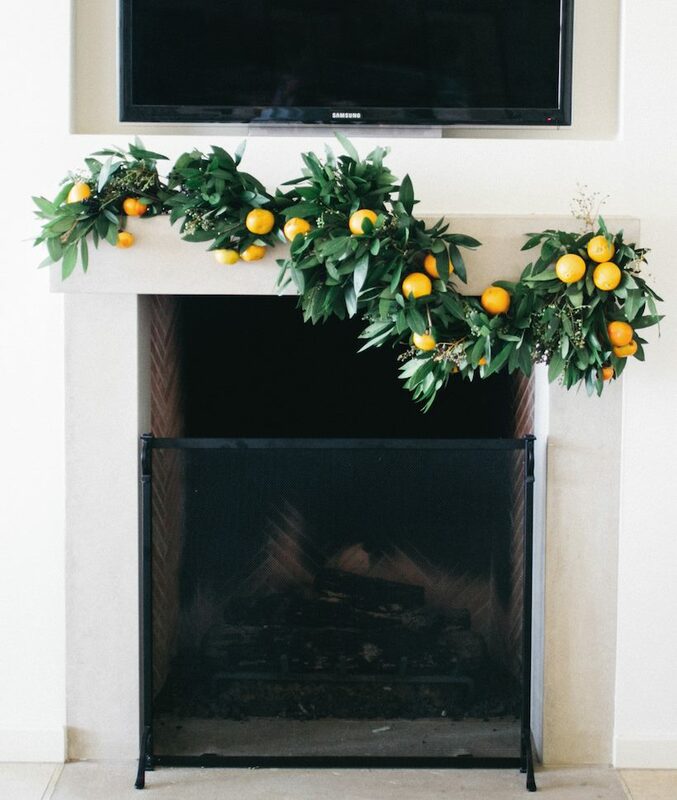 If you’re willing to spend some time combining fresh greenery with colorful produce, this Winter Fruit and Greenery Garland from Camille Styles is so worth the effort! 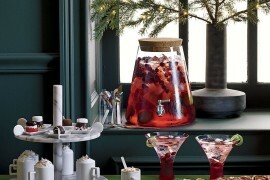 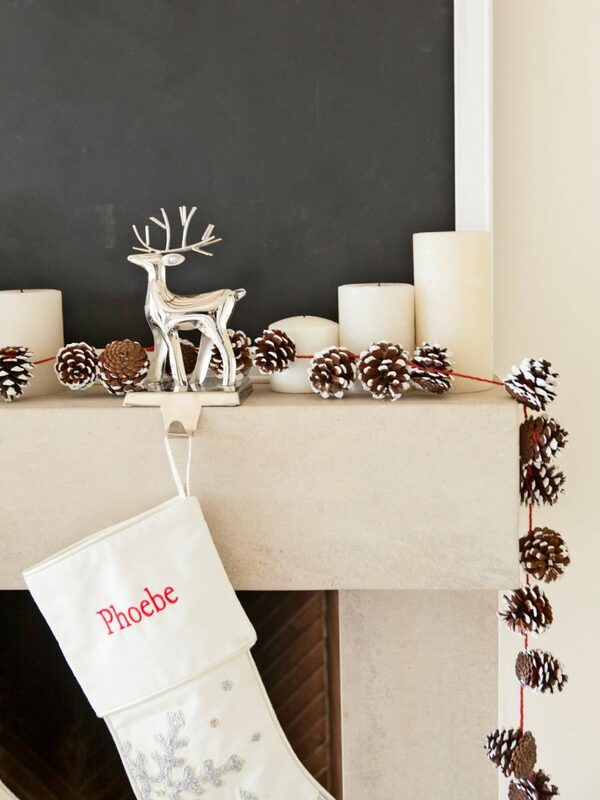 It’s hard to imagine a more charming, lush statement for the holidays. 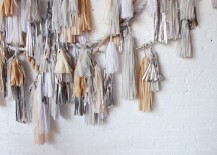 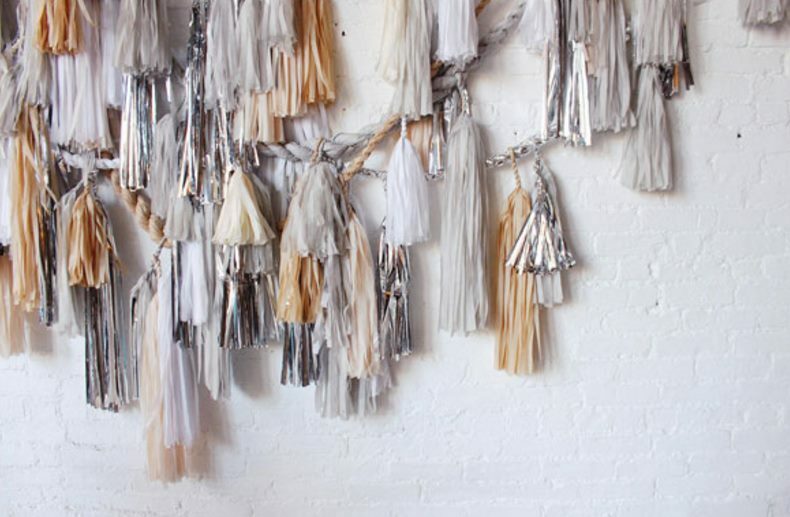 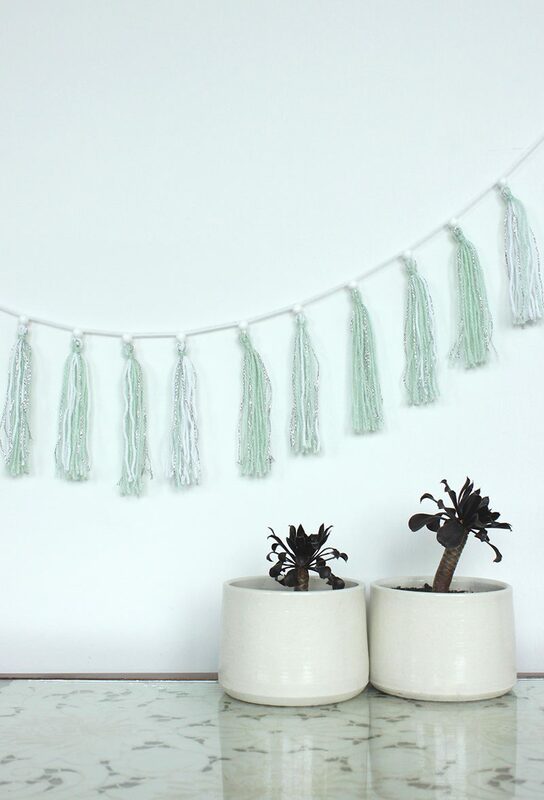 Let’s talk about tassels. 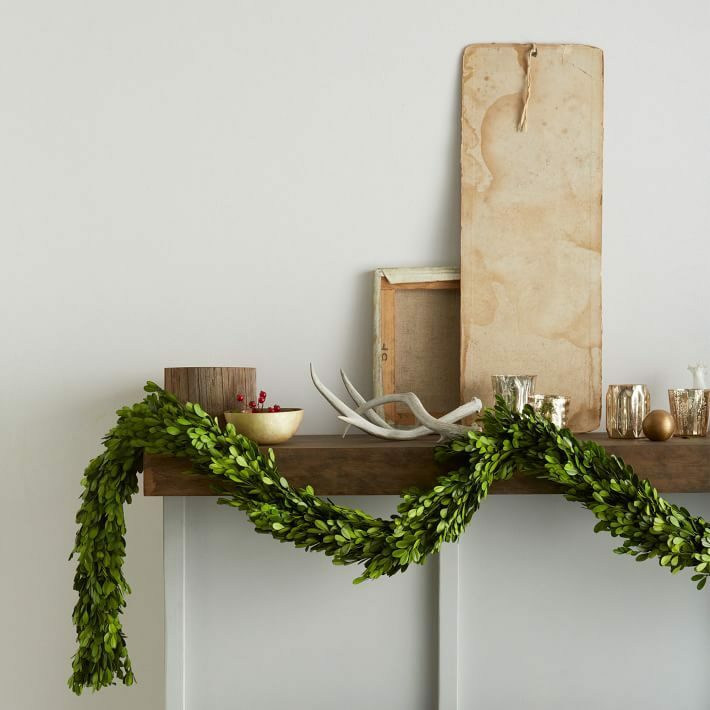 They instantly create an air of festivity, and since they’re in style (in a major way) this season, it’s easy to incorporate them into your holiday decor. 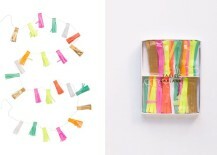 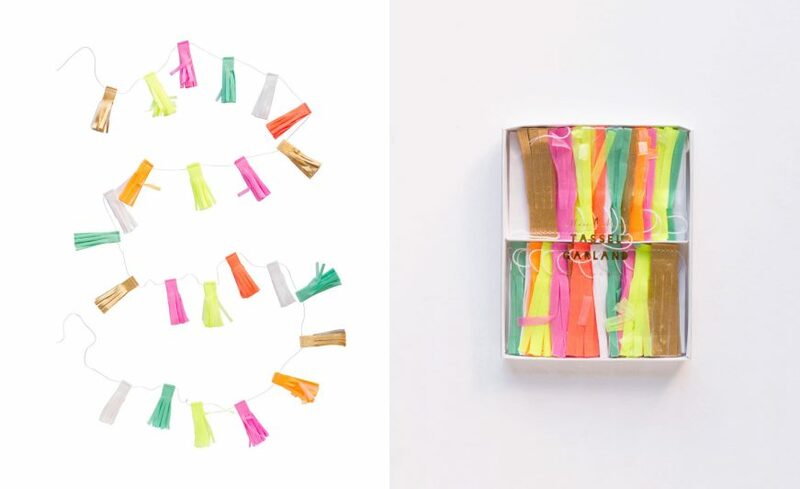 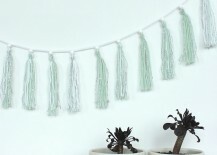 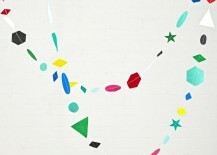 Try a non-traditional approach with this Mini Neon Tassel Garland from the Oh Happy Day Shop. 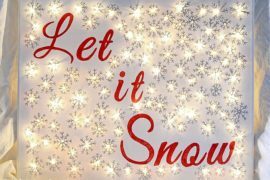 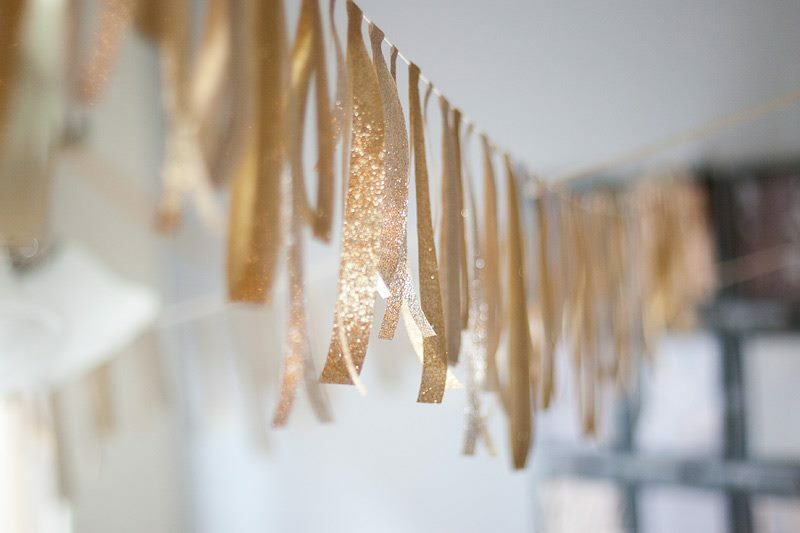 And while you’re visiting this online party boutique, check out their wide selection of garlands, from festive festooning to fan bunting options! 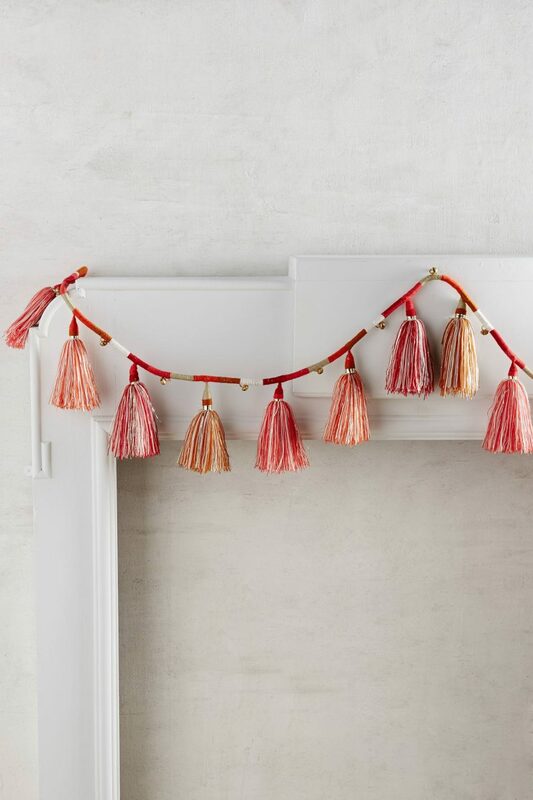 Acrylic wool, metallic thread and brass bells are the materials of choice for the Bell & Tassel Garland from Anthropologie. 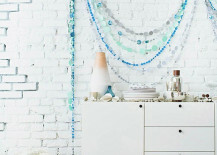 We’re loving the Boho chic look! 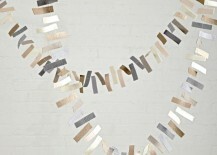 We now move on to felt and paper garlands, beginning with the paper! 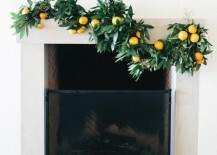 There’s nothing like a good dot garland, and layering and grouping a variety of them creates a fresh take on the concept. 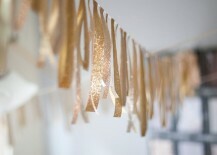 More fabulous photos at Design Love Fest. 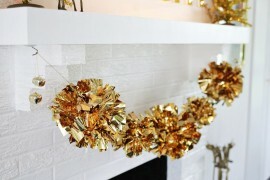 For a garland that drapes from the ceiling down to the floor, try this Zig Zag Garland tutorial from Oh Happy Day. 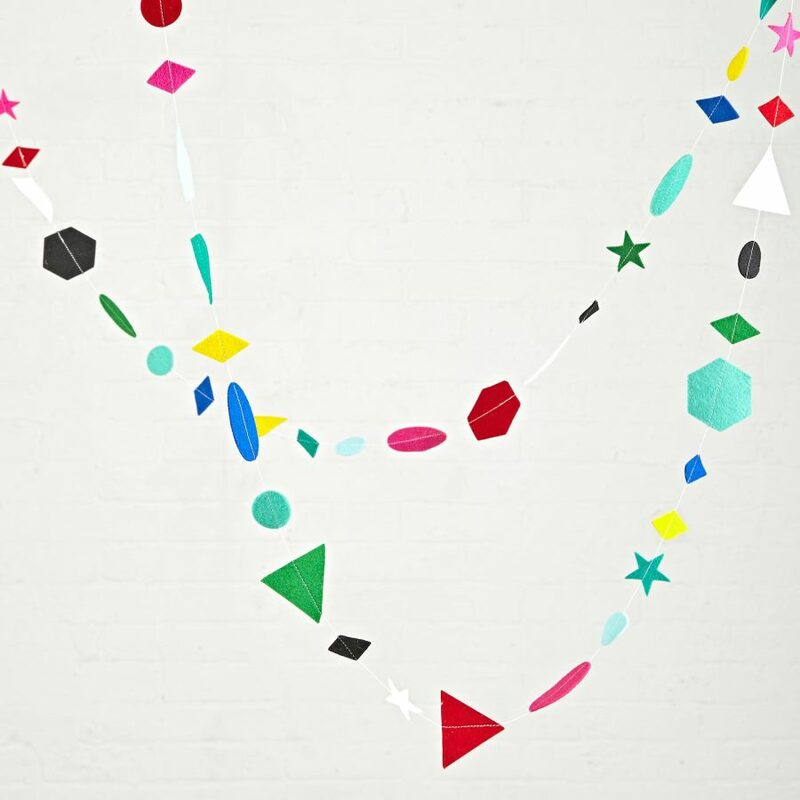 It’s easy to make from cardstock, and the result is a playful, dramatic statement that sets a festive tone for the holidays. 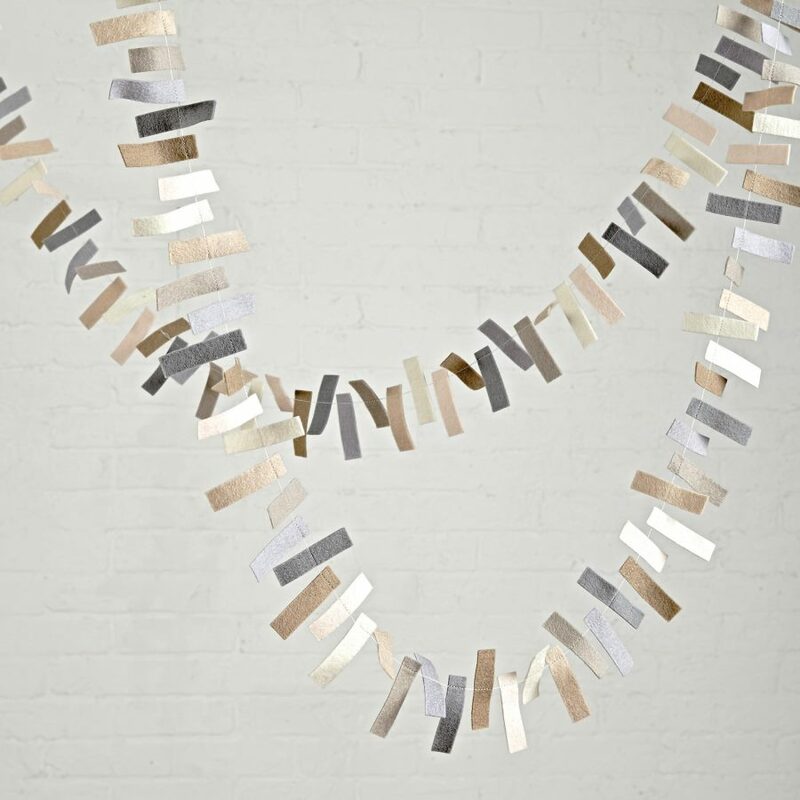 This High Beam Garland from The Land of Nod illustrates the power of wool felt in neutral tones. 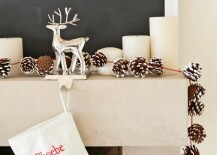 The perfect holiday statement for the mantel (or over the dining room table)! 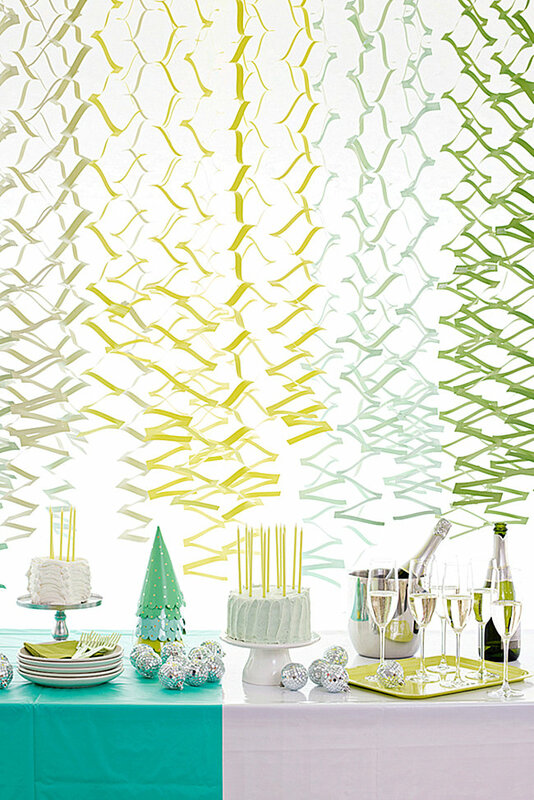 When it comes to garlands, sometimes going with a dash of the unexpected is best. 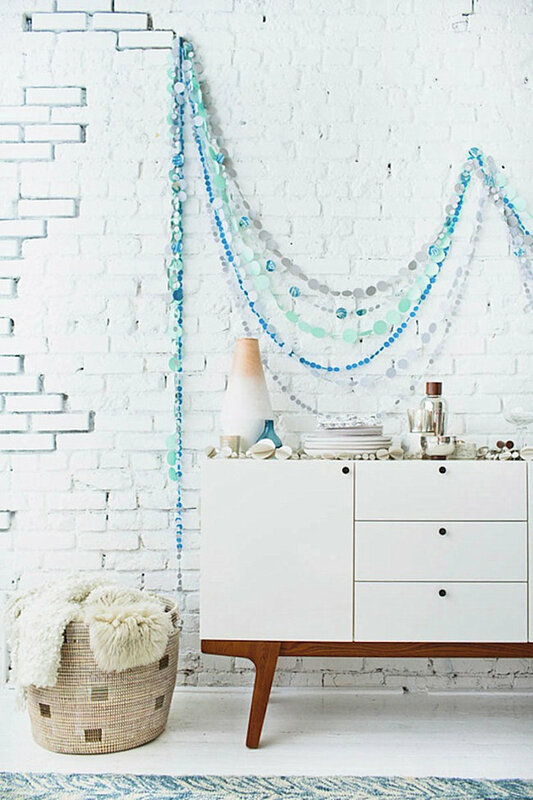 Would you make a garland out of gumballs? 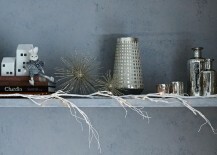 We’re loving the retro-modern effect in this photo from Studio DIY. 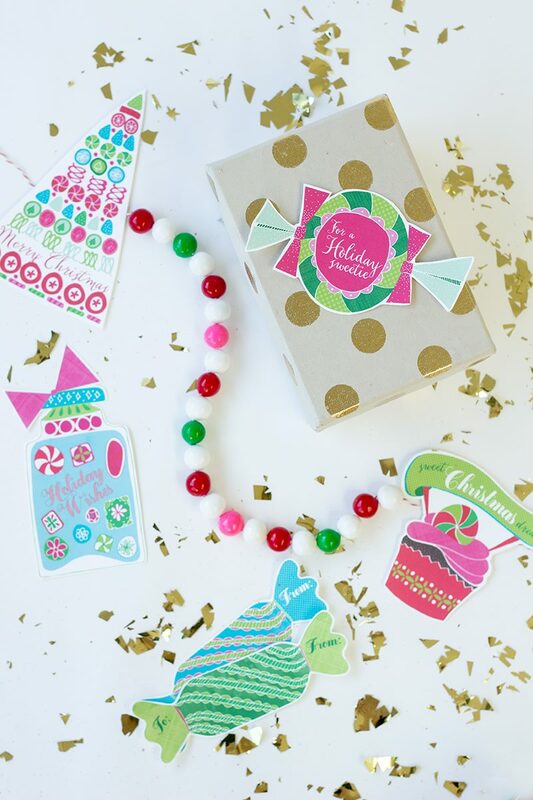 And those free printable gift tags that surround the garland are definitely worth checking out! 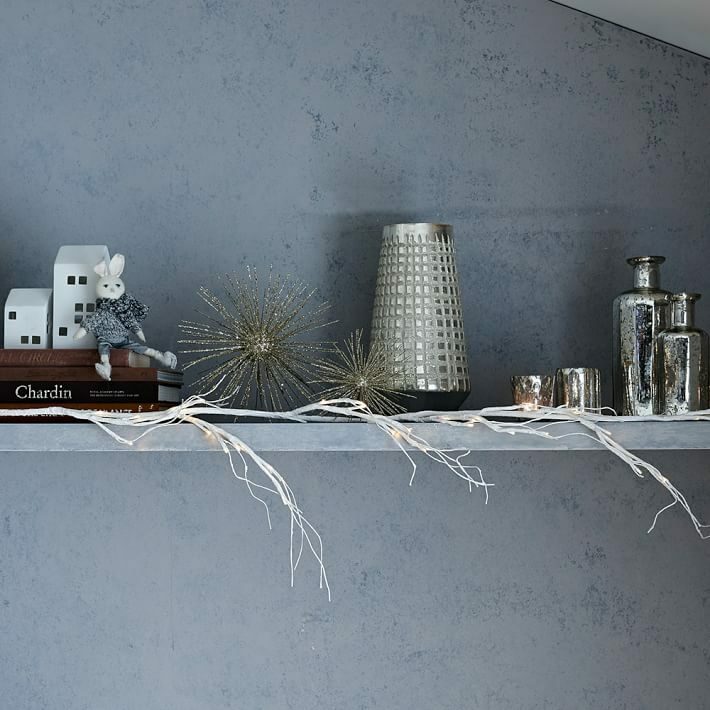 Warm and fuzzy accents are one of today’s top trends. 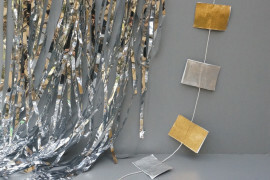 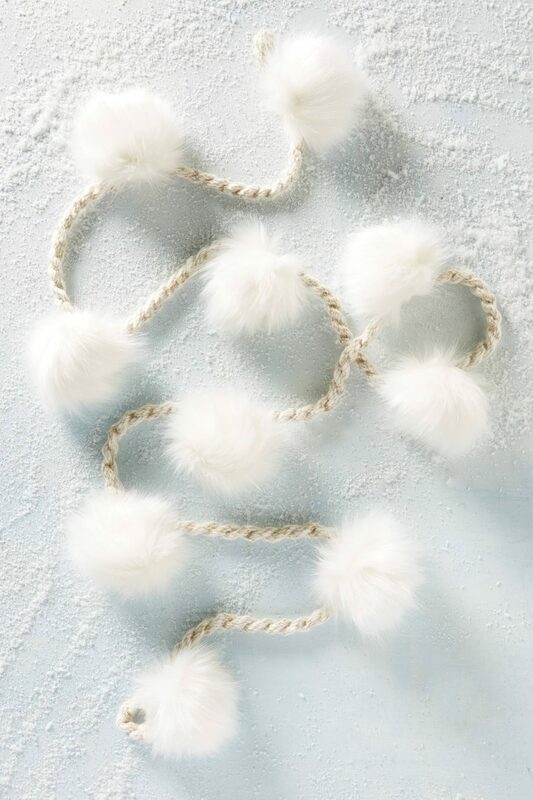 Sheepskin throws and faux fur pillows line the shelves of top retailers, so why not bring a little bit of the textured fun home in the form of a garland? 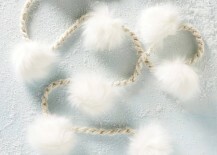 Anthropologie’s Alpine Pom Garland is crafted from polyester and acrylic to create furry bundles of goodness on a delicate rope. 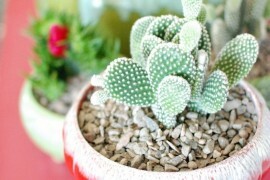 Isn’t it cozy?! 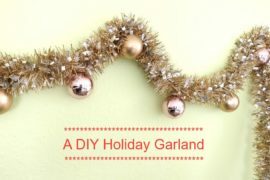 Last but not least, we feature a garland that pulls double duty as an advent calendar! 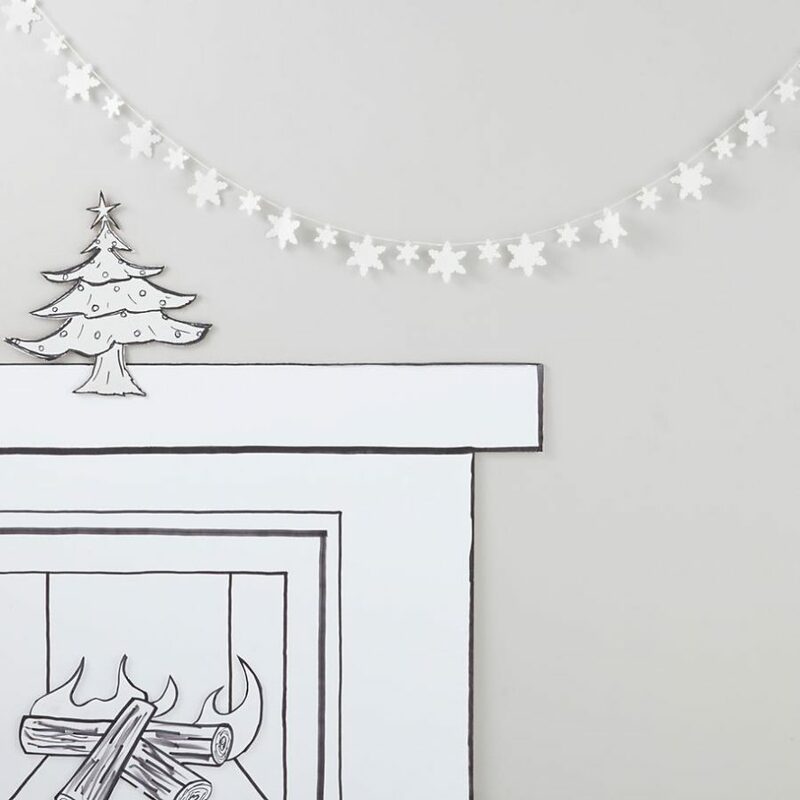 While DIY garlands and advent calendars are big this season, there’s no shame in purchasing 2-for-1 decor, especially if you’re short on time. 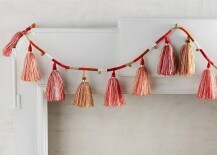 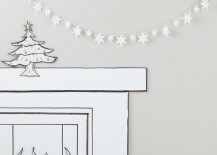 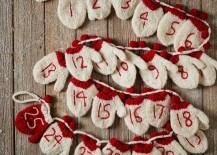 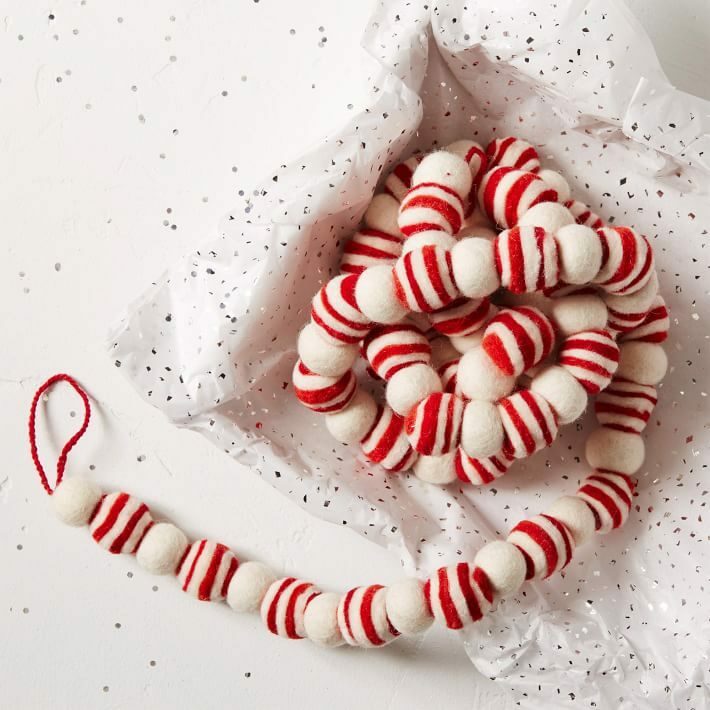 West Elm has you covered with their Mittens Advent Garland. 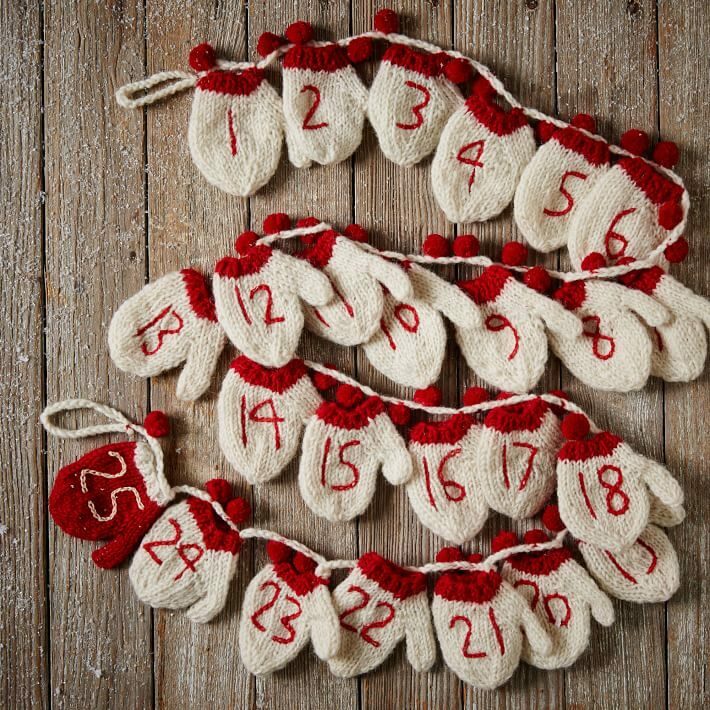 All you have to do is fill those little mittens with little treats!